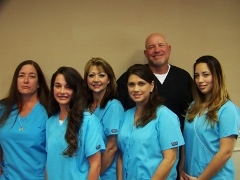 Stuart Elkin, D.M.D, is a private dental practice established in 2000. The practice is located at 3925 W. Boynton Beach Blvd., Suite 104, Boynton Beach, FL. We are a state-of-the-art facility that is handicap accessible and offer a wide range of dental services; from cleanings and preventative maintenance, to oral surgery.